High-efficiency heating and air products lower energy consumption with few maintenance needs. Many Rheem units are ENERGY STAR® qualified, contribute to LEED certification and provide some of the best warranties in the industry. 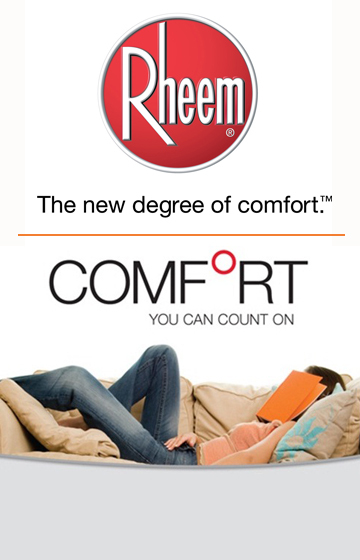 Rheem is delivering a new degree of comfort. Rheem is headquartered in Atlanta, Georgia. It manufactures in Fort Smith, Arkansas; Montgomery, Alabama; Oxnard, California and Eagan, Minnesota. All manufacturing facilities are ISO 9001 certified. Locate a Rheem contractor near you or contact Modern Supply for a listing.